Deciding on your FastPass Magic Kingdom strategy can be an overwhelming part of planning your Disney World vacation. With over two dozen attractions you can get a FastPass for at Magic Kingdom, it’s hard to know where to begin. Read on to get my tips, tricks, and strategy for using Fast Pass at the busiest Disney theme park to save time and hassle on your trip! Fastpass (aka Fast Pass or FastPass+) is essentially Disney World’s ride reservation system. It allows you to reserve access to certain rides, shows, and character meet-and-greets in advance. With the right planning, Fastpasses can help you avoid long waits for certain attractions at Disney World. You can select up to three (3) Fastpasses per day at one park per day. 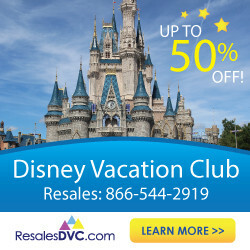 You can make your Fastpass reservations 60 days in advance if you are staying at a Disney World resort hotel (ie “on property”) and 30 days in advance if you aren’t staying at a Disney resort. You do have to have park tickets already linked to your My Disney Experience account before you can select your Fastpasses. For LOTS more basic information, check out my ultimate guide to Disney Fast Pass here! Since you can only pick three FastPasses before your trip, you’ll want to know what are the best attractions to pick. What Should I Fast Pass at Magic Kingdom? Generally, you want to try to get FastPass for attractions that typically have very long “standby” waits. The standby queue (pronounced “Q”) is Disney-talk for the line you wait in if you DON’T have a FastPass. Crowd patterns at Magic Kingdom are pretty predictable and we know which attractions will have the longest wait times on any day. The reason for the long wait is a combination of popularity and low capacity. For example, the Princesses spend a few minutes with EACH kiddo, so the line moves very slowly. This leads to long wait times on most days. P.S. There’s usually more than one set of characters in different rooms meeting with guests to speed things up – but don’t tell your kids that and ruin the magic! Depending on how busy it is (check out this excellent crowd calendar to get a sense for overall crowd level during your visit) other attractions may also get VERY long waits. 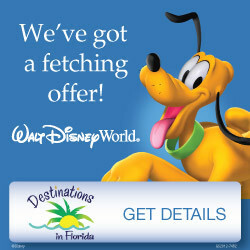 So the attractions you choose for FastPass will depend on who you are traveling with and their can’t-miss attractions! I’ve suggested some good picks for FastPasses for some general groups next. I haven’t included other attractions that toddlers will love in Fantasyland because you can typically experience them with short waits in the morning. You can often do most of these rides in the first few hours without much waiting. Then you can use your FastPasses later in the morning or in the early afternoon. Once the kiddos are old enough to go on some of the more thrilling rides that have height restrictions, you will likely want different FastPasses. It is usually easier to get FastPasses for Big Thunder Mountain and Splash Mountain later in the day than the others, so that might help you pick which ones to get first. By all means, pick other attractions for FastPass+ if they are of high interest to you and your traveling party! These are just suggestions based on what lines build the fastest and what are the more popular attractions. What Times Should I Choose For My FastPasses? The best times for your FastPasses depends on if you are staying at Magic Kingdom the whole day or park hopping. If you are staying at Magic Kingdom all day, I would suggest getting Fastpasses for late morning and early afternoon times. As soon as you use them, select more one at a time in the app. TIP: If you are taking a break in the middle of the day, make sure to plan your FastPasses around that. You might want to use all three in the morning before you break and select your fourth for an afternoon time when you are SURE you will be back! If you are park hopping, generally you’ll want to pick FastPasses for your second park. Be sure to pick afternoon times when you are sure you will be there. Allow enough time to transfer between parks (which takes 30-60 minutes depending on where you are going). How many FastPasses can I get at Magic Kingdom? When you select your FastPasses before your trip, you get three initial FastPasses. They must all be at the same park on the same day. After you have used your three FastPasses in the park, you can get additional FastPasses one at a time in the My Disney Experience app or at a kiosk in the park. TIP: After you have checked in for your third FastPass by scanning your ticket or MagicBand (learn all about MagicBands in this post), you can select your next FastPass during your short wait. You can continue to get more FastPasses one at a time while there are still FastPasses remaining for the day (once they run out for an attraction they become unavailable) or until the park closes. Theoretically, you could get MANY Fastpasses in one day at Magic Kingdom! I think the most I’ve used in one day is six since they do run out for the best attractions. What Attractions Do NOT Offer FastPass at Magic Kingdom? There are many other wonderful attractions at Magic Kingdom that don’t offer FastPass. Be sure to factor these attractions into your touring plan – it can be easy to forget about them because they don’t offer FastPass! But my favorite attraction in Magic Kingdom (the PeopleMover) is on this list so be sure to enjoy it and these other classics if you can. Can you get a FastPass for Magic Kingdom fireworks? Disney World used to offer FastPasses for parades and fireworks at Magic Kingdom, but they are no longer offered. They have made improvements to the hub area to offer better viewing of the Happily Ever After fireworks show. You can buy tickets to the Fireworks Dessert Party at Tomorrowland Terrace if you want seats and treats for the show. Can I buy more Fast Passes at Magic Kingdom? Currently, there is no way for most guests to buy additional FastPasses. 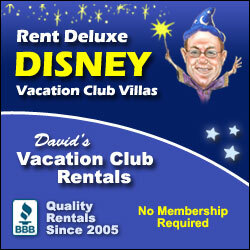 The only guests who can buy additional FastPasses are those staying “Club Level” at select Disney Deluxe Resorts. The minimum cost is $150 for three days of additional FastPasses (3 more per day) and you can use these FastPasses at any park. The cost involved with staying Club Level and buying these additional FastPasses is extremely high. This means that for most visitors, there is no way to buy more FastPasses. Is there a way to check Magic Kingdom FastPass availability? Yes! The good people over at Touring Plans have a great tour for seeing all available FastPasses in one place. Check out the FastPass+ Availability for Magic Kingdom here. You can check up to 70 days in advance and see all of your options in one place. This is especially helpful if you are staying off-property and want to know what attractions have FastPasses left before your booking window opens. I hope this post helped with your FastPass Magic Kingdom planning! Any other questions? Please leave a comment below or join us in my free private Facebook group for The Budget Mouse here. A MUST-READ for first-timers. This information is soooo helpful! I know because we just went through it for the first time with our kids and grandkids. Spot-on! As always, thank you Leah!